Even at a young age, sisters Hallie and Riley fully understand that without the support of the community, they could go to bed hungry each night. Their mom, Angela, found herself struggling to make ends meet after her husband of nearly 20 years died unexpectedly from a heart attack. Hallie and Riley are among 100,000 children in the Tri-State area who are at risk of hunger every day. Research shows that hunger affects a child’s ability to learn and perform well at school. Hungry children come to class ill-prepared, are more likely to have trouble focusing in class, and are more likely to score lower on achievement tests. Children who rely on free and reduced-price school lunches are at even greater risk of hunger in the evenings, weekends, summer months, and during other school breaks. Freestore Foodbank programs like Power Pack provide more meals to children at times when they are most at risk of hunger. Hallie and Riley receive the nutritious bags of food every Friday to ensure they have something to eat on weekends, when they are away from school. Each pack contains easy to prepare items like sun butter, whole grain cereals, fruit and vegetable juices, sunflower seeds, apple oatmeal bars, complete pasta meals and other healthy options. The support of community partners like the Cincinnati Wine Festival plays a vital role in helping children receive the proper nutrition they need to help them succeed in life. A recent donation from the Wine Festival through the Freestore Foodbank’s largest fundraising event – the 21st Annual Rubber Duck Regatta- equates to providing Power Packs to two schools for an entire year; the impact, priceless for kids like Hallie and Riley. Research shows that kids receiving proper nutriton are more likely to attend school prepared to learn and score better on tests. 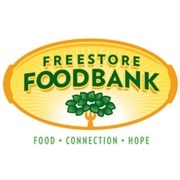 With the support of the Cincinnati Wine Festival, the Freestore Foodbank and the community are working together to solve hunger and ensure that our children have the nutrition that they need to grow healthy and strong.